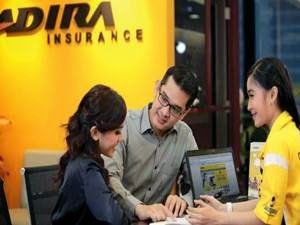 PT Asuransi Adira Dinamika - Adira Insurance a well-known financial services company in Indonesia with core business competencies in general insurance industry. Adira Insurance offer a full range of general insurance products. Its products include motor vehicle insurance, personal accident and health insurance, business property insurance, miscellaneous insurances. Established since 2002, Adira Insurance is a strategic subsidiary company of PT Bank Danamon Indonesia Tbk (Danamon Group), one of the largest public listed banks in Indonesia. As today, Danamon Group controls 90% stakes in Adira Insurance. Other 10% remaining stakes in Adira Insurance was owned by Willy Suwandi Dharma. Adira Insurance is based in Jakarta and now has 32 office networks spread in all over Indonesia. According to information found in Adira Insurance Annual Report 2017 as cited by JobsCDC.com, Adira Insurance registered total assets in 2017 amounted to Rp5.7 trillion, with paid-up capital of Rp2 trillion. In 2017, Adira Insurance's total gross premium income amounted to Rp2.3 trillion (including Sharia), while investment assets amounted to Rp3.6 trillion. Referring to its annual report, total net income after tax in 2017 was Rp348 billion, decline of 19% from the previous year. Open to any major. Preferably from Marketing and Communication. JobsCDC.com now available on android device. Download now on Google Play here. Please be aware of recruitment fraud. The entire stage of this selection process is free of charge. Adira Insurance - Officer Development Program Danamon Group August 2018 will never ask for fees or upfront payments for any purposes during the recruitment process such as transportation and accommodation.